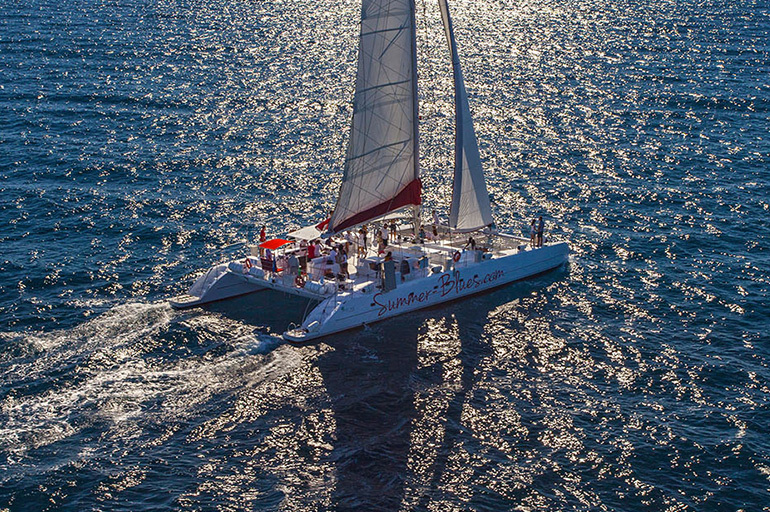 Fountaine Pajot also produces an exceptional range of professional sail and power catamarans, designed specifically for the leisure industry, commercial passenger transportation and other ventures. 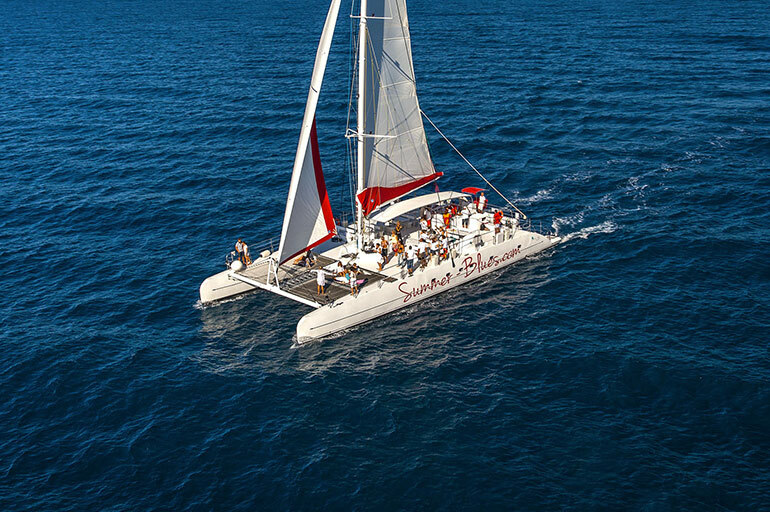 Each carefully customised to suit the individual requirements of commercial operators, our Taiti Day Charter catamarans are now in high demand from companies all over the world. 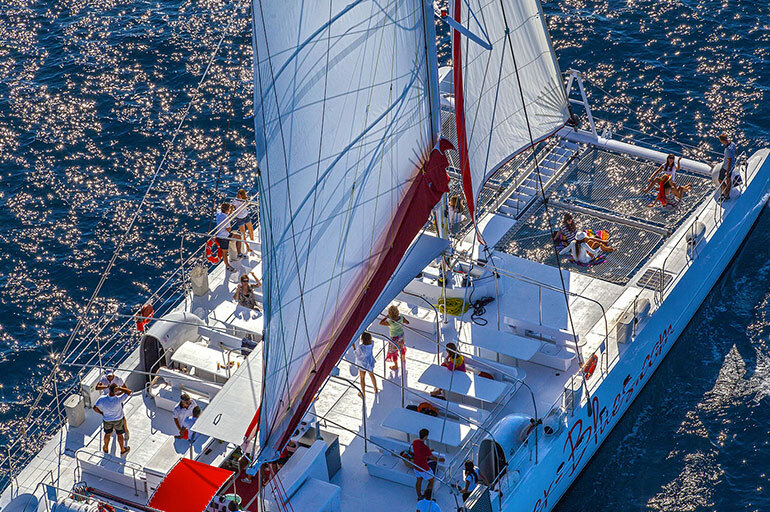 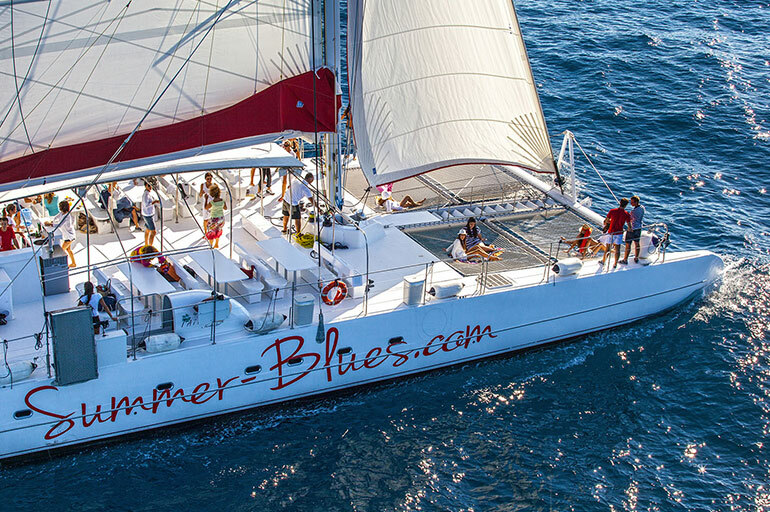 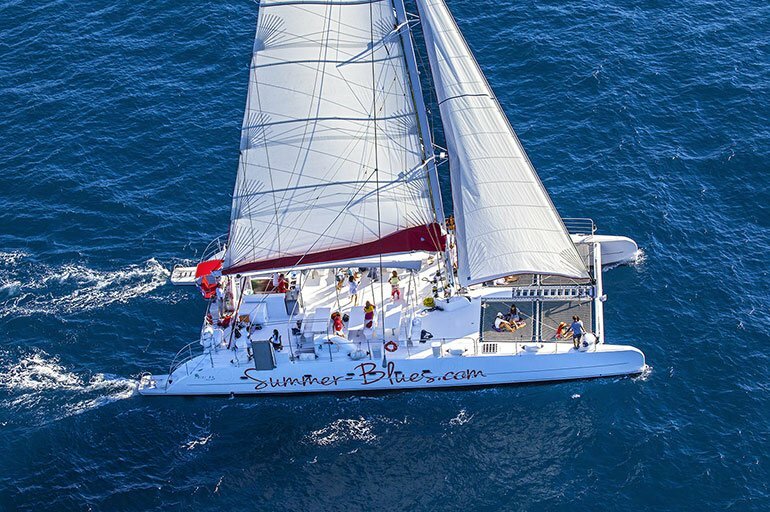 Taiti Day Charter catamarans are designed to provide unforgettable group sailing experiences, and are a popular choice for the world’s big hotel groups, holiday clubs and tour operators. 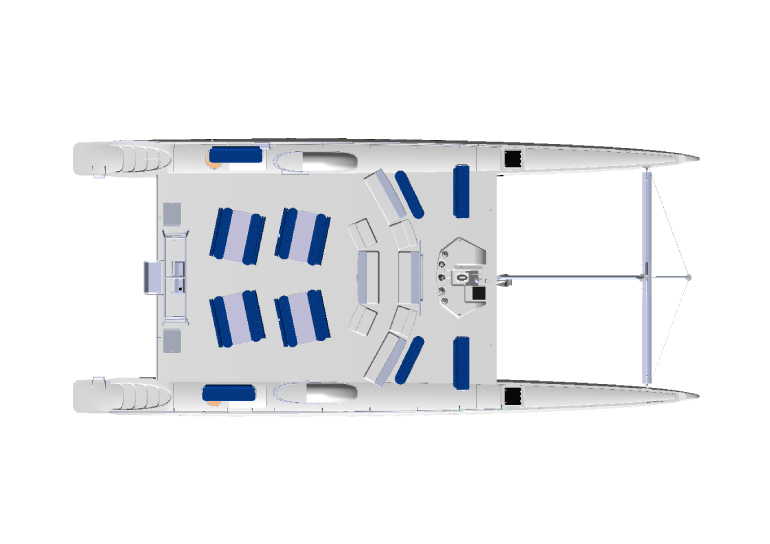 Each exclusively customised, Taiti catamarans are renowned for their safety, easy manoeuvrability and elegant lines, while also offering guaranteed returns on investment. 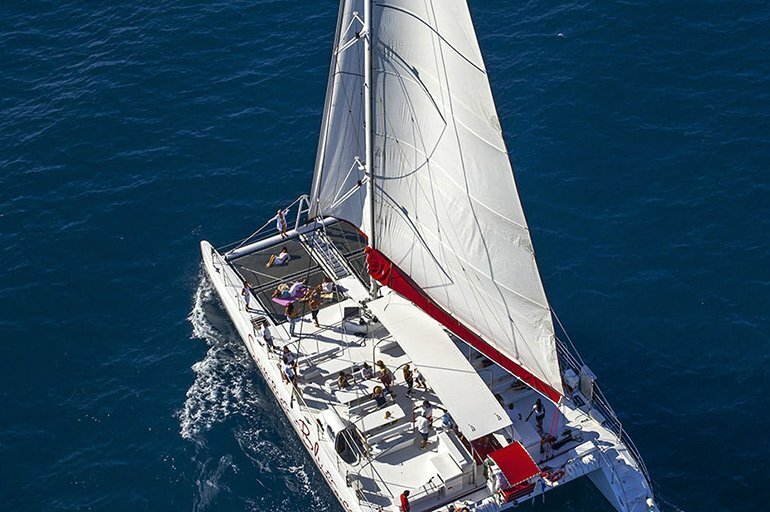 Our Taiti range of catamarans are designed for group day charter use, and are boats constructed by professionals for professionals. 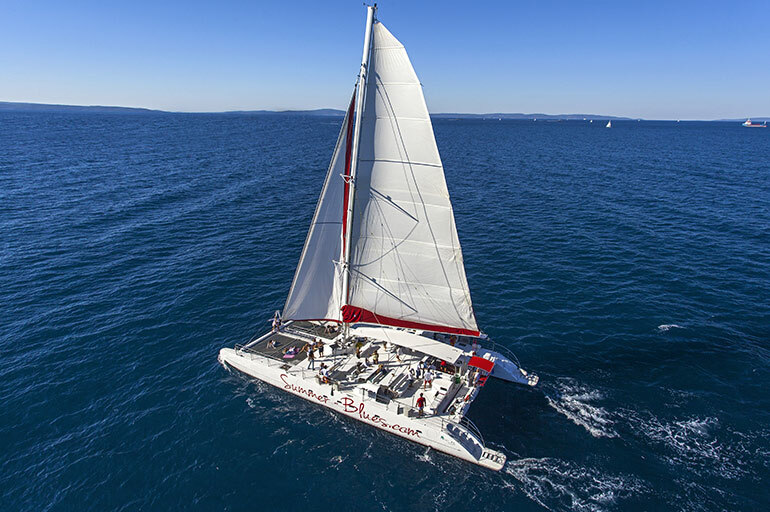 Built by the largest cruising catamaran manufacturer in the world, the Taiti range is constructed at a dedicated manufacturing facility that has direct access to the sea for launching. 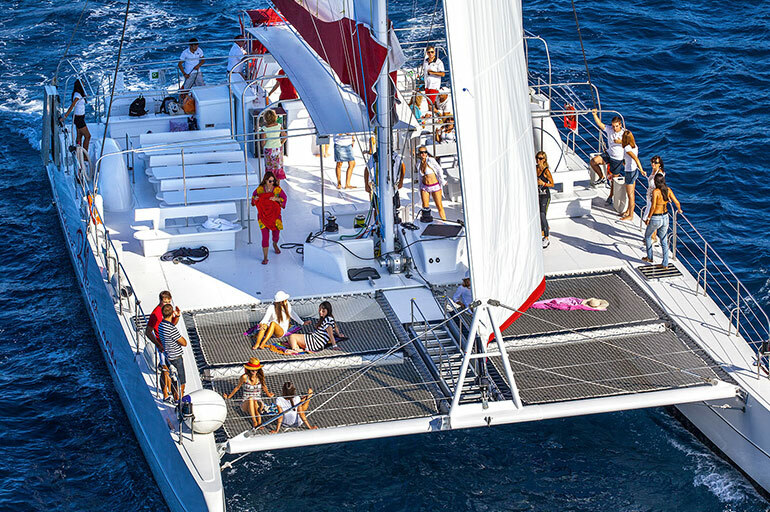 The catamarans are defined by their impressive safety features as well as their outstanding spaciousness for the comfort of guests and crew. 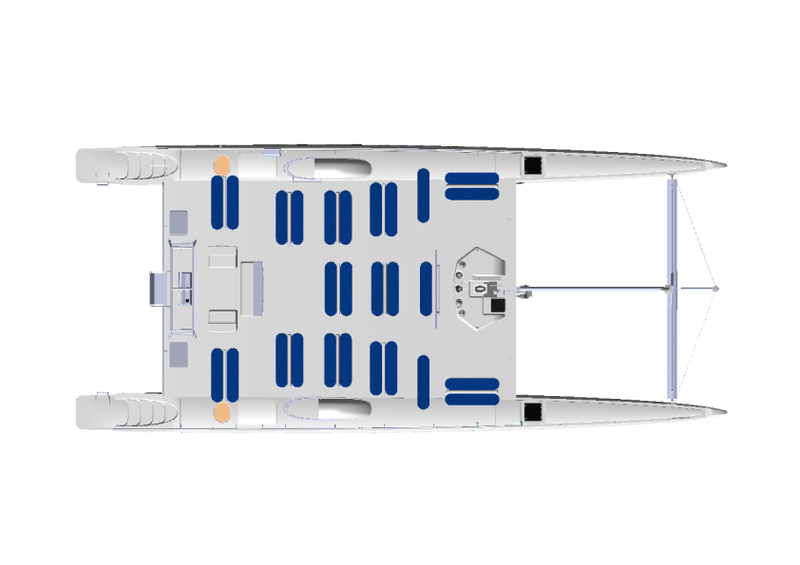 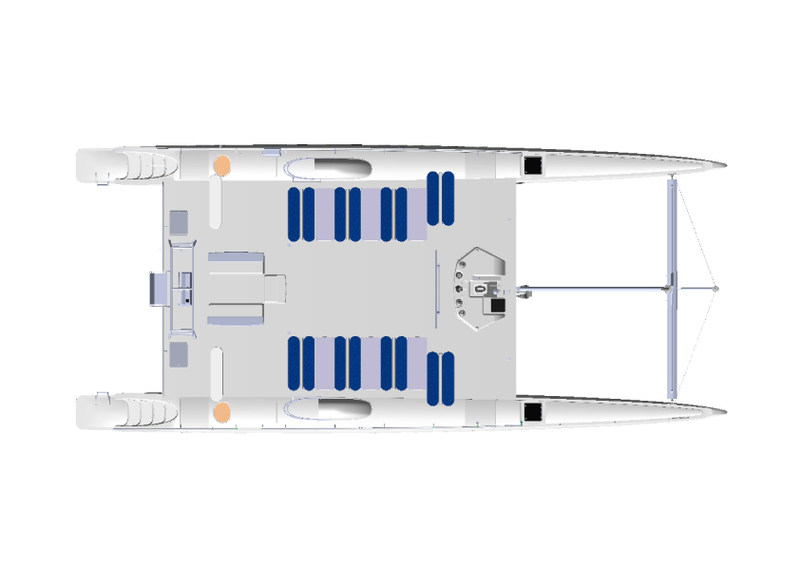 The Taiti range is incredibly stable and their two hulls eliminate heeling, while their streamlined hulls deliver excellent performance under sail. 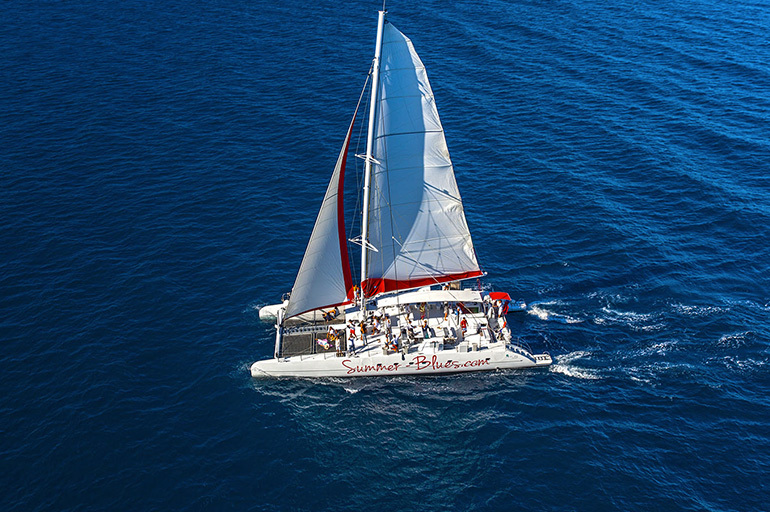 With the Taiti catamarans, operators can offer a broad range of half or full-day sail programs, and their shallow draft provide a huge range of options for exploring the best anchorages and destinations. 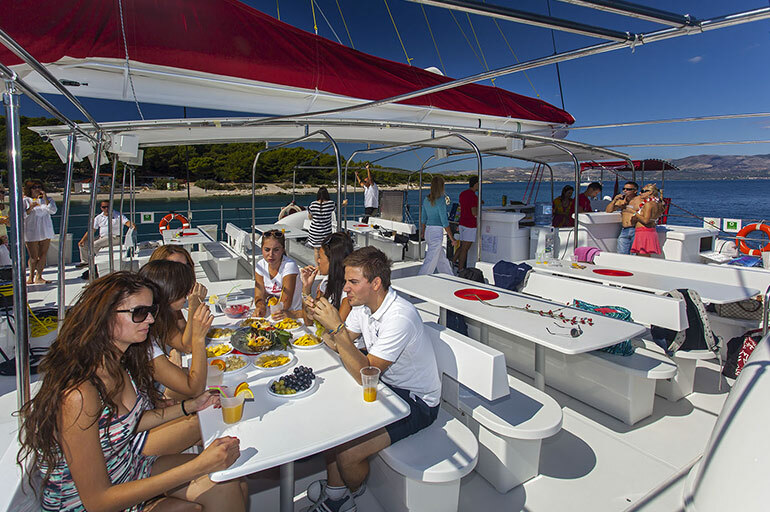 Guests will be delighted by the chance to take the helm, dive into crystal waters from the catamarans’ stable platforms, and enjoy onboard meals or cocktail parties that are easily prepared within the spacious surrounds.